Thursday, June 11–Our last day in India began at 5:30 a.m. with a knock at our door, but we were already awake. 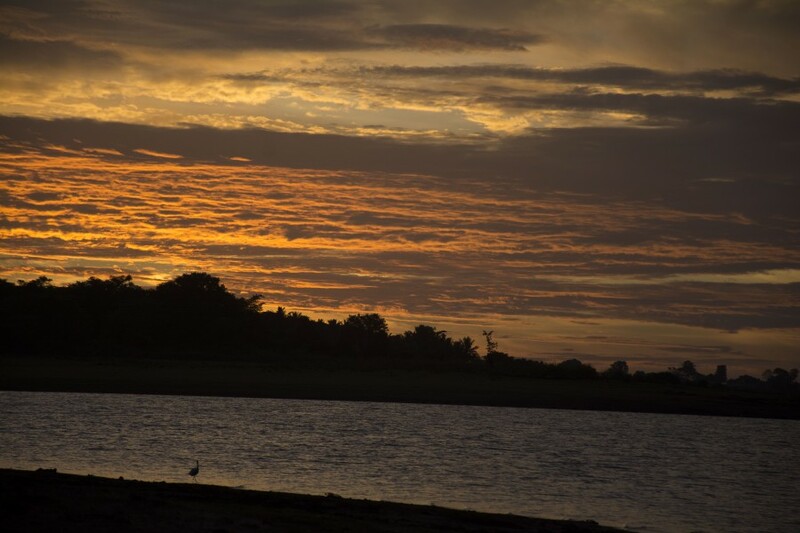 Kelly, Diana and I were crawling out of bed and getting our cameras all set for the morning safari on the Kabini River. We were excited to go on the boat, but I think there was another type of excitement in the air, too. One could feel the bittersweet excitement of knowing that our trip was over. It would be nice to return home to New York, but the trip had gone by so fast. The week of reporting had flown, and I longed to stay for just a few more days to make sure that I had my story down. Diana wasted no time. She grabbed her camera and sprinted out of the room. She wanted her sunrise photos, and what better place to capture them than alongside the river? Kelly and I met the other students on the veranda outside our rooms. Rubbing our eyes, we walked down to the area where the resort staff would serve us coffee before our boat adventure. One thing I will seriously miss about India: the constant coffee. The morning boat ride lasted for three hours, and we saw plenty of birds and elephants. The elephants made my morning. After a family breakfast, we needed to go back to the rooms to shower and get ready to leave. This is when it really hit me that it was our final day. The van ride back to Bangalore did not even feel that long, maybe because I was asleep on Peter’s shoulder for the majority of the ride. Poor Peter, he fell victim as soon as I realized how comfy his shoulder was, and he was way too nice to stop me. Hours later, on the outskirts of Bangalore, we stopped at Coffee Day, a popular coffee shop in India. It was here where I ate my first chocolate bar since being in India, and it was delicious. It was also in Coffee Day that we learned the unfortunate news that our guide, mentor, guru and friend Dipti Kumar was ill with severe food poisoning and would not be able to fly home with us. Disappointment came over us all. Not only was it sad that Dipti was sick, but also, she had helped us so much on this trip, and we wanted to give her a proper thank you and goodbye. In typical Dipti fashion, she wanted to meet us near the hotel where we’d stayed in Bangalore to say ’bye to all of us. She was ready to make the effort, but our professors advised her to stay home and rest. Her eagerness to come and see us made me smile. After sorting out all of our business, printing out our boarding passes and returning the local cellphones we had used during the trip, we were off to the airport. Of course, it would not be Bangalore without a spontaneous rainstorm. A rainfall that flooded the streets lasted for the duration of our van ride. The rain seemed to fit my sad mood about leaving. Once at the airport, we had about an hour before our flight, so everyone … cough cough, Diana … was able to get in some last-minute souvenir shopping in. As for me, I stuffed my face because I knew that it was a long trip home—four hours to Abu Dhabi, a three-hour layover and then 13 hours back to JFK. 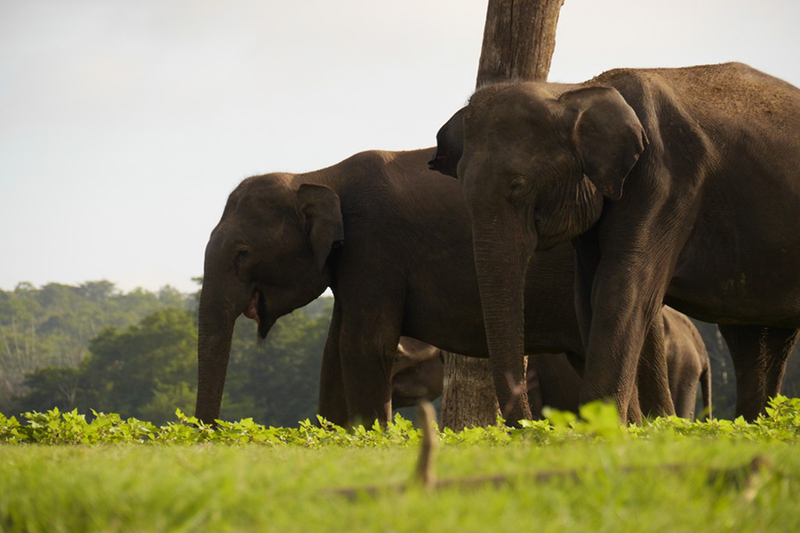 This entry was posted in Blog and tagged Bangalore, elephants, JWWIndia, Kabini. Bookmark the permalink.